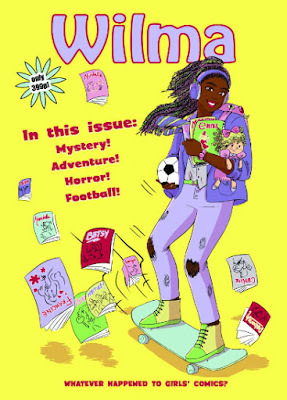 A new anthology has been released featuring comics by Olivia Hicks/Katie Quinn, Joan Ormrod/Zu Dominiak, and Julia Round/Catriona Laird. 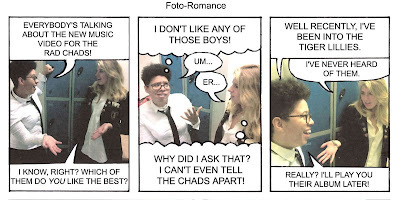 During the summer I worked on a project for the MLitt comics course which included making a photostrip. This caught someone's attention, as I was asked to shoot and put together another one for Wilma. I was sent a script written by Alexandra Craven, did pencil layouts, and shot the pictures. 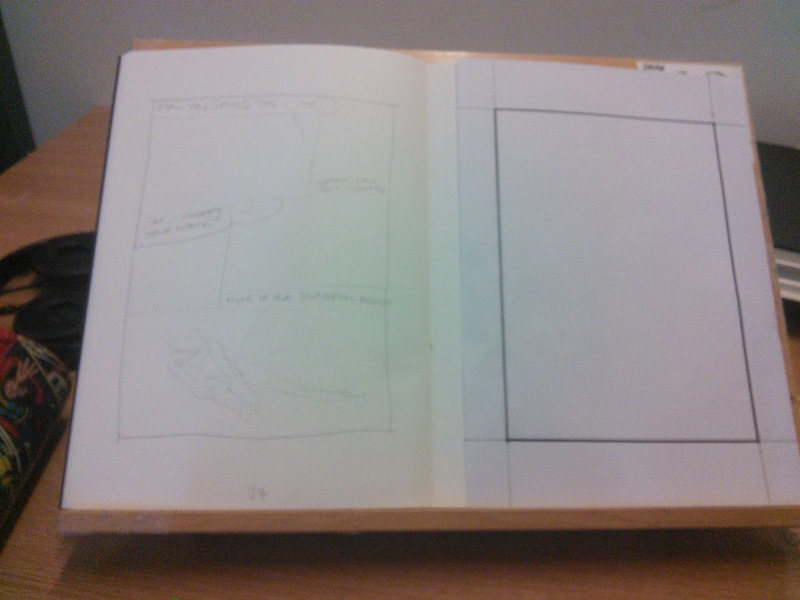 I then cut and pasted the thing together. My Kirby 100 painting (discussed here) is now being exhibited online at the Kirby & Me website. I took part in this event again this weekend, making 24 pages in 24 hours. 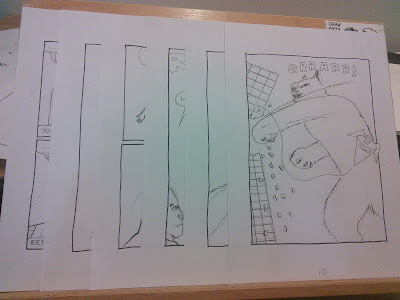 Alongside Zu Dominiak and Olivia Hicks, we started at 10am Saturday, working through the night in the Ink Pot studio within Dundee Comics Creative Space. 11.26am: Oh boy. 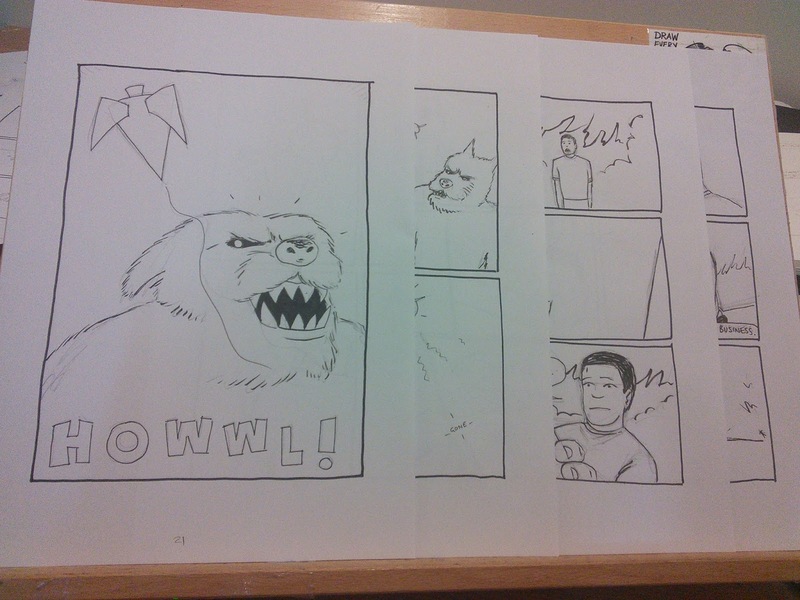 It's 24 hour Comics day again. Let's go! 12.15pm: 24 hour comic day continues. 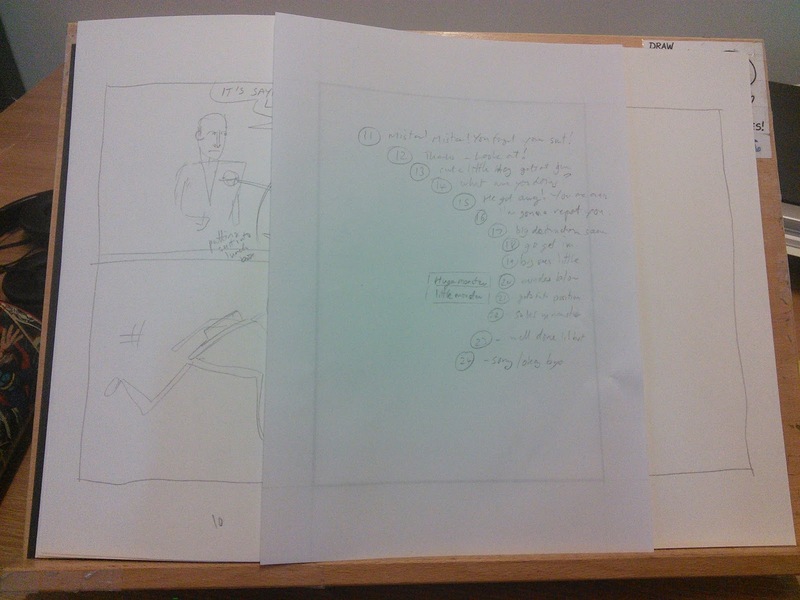 10 pages of layouts done. 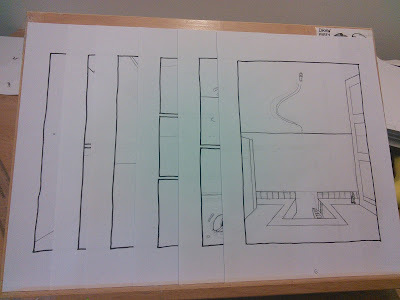 Pages 11 to 24 planned out. 12.58pm: 24 pages layouts done. Lunchtime! 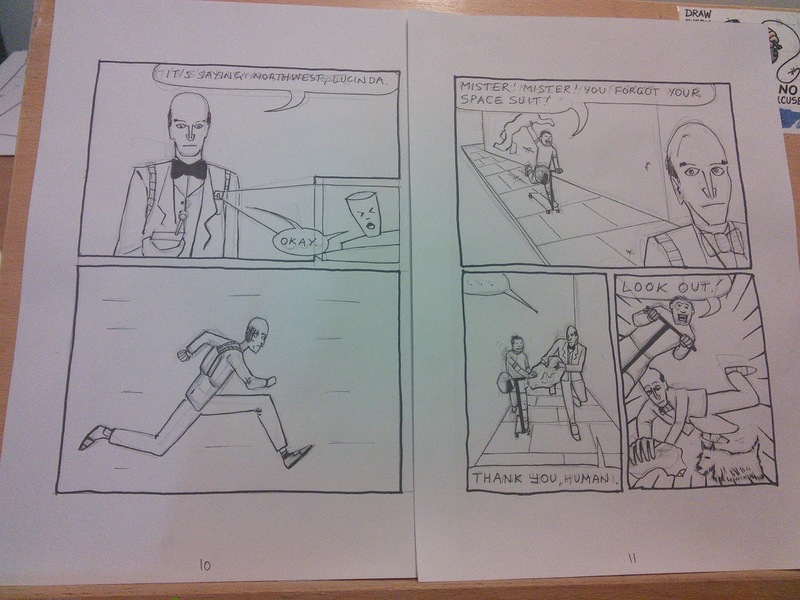 3.23pm: 6 pages black and white artwork done. 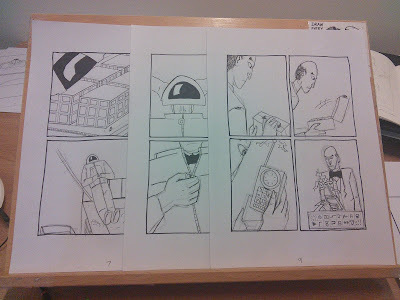 Gonna splash some colour paint on these once all 24 are done in b&w. 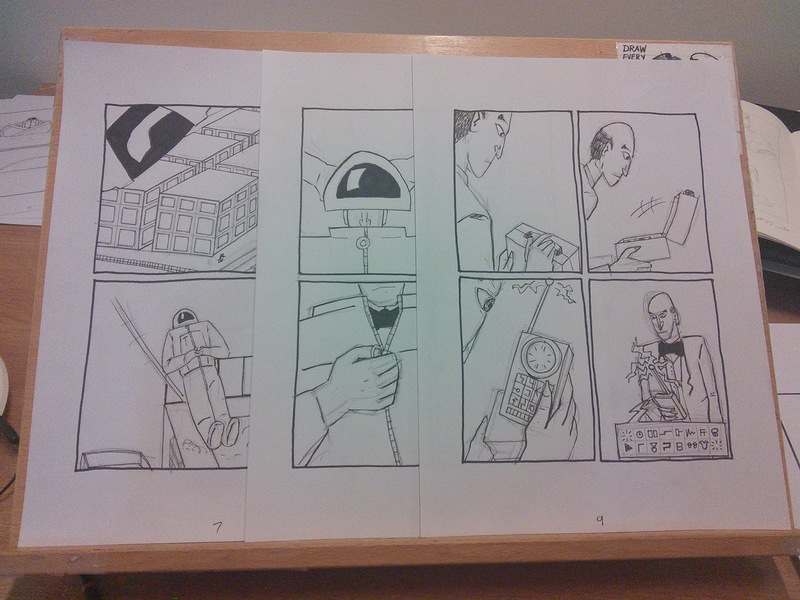 5.17pm: Page 7-9. Going out for a walk now. 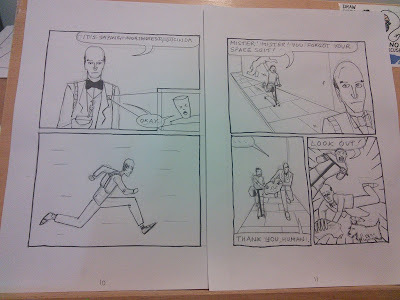 24 hour Comics, ye bas! 7.51pm: Page 10 and 11. It's time for junk food. 10.58pm: Presenting pages 12 to 14 of this 24 hour comic venture. 1.56am: 24 hour comic pages 15-20. Giant dog. 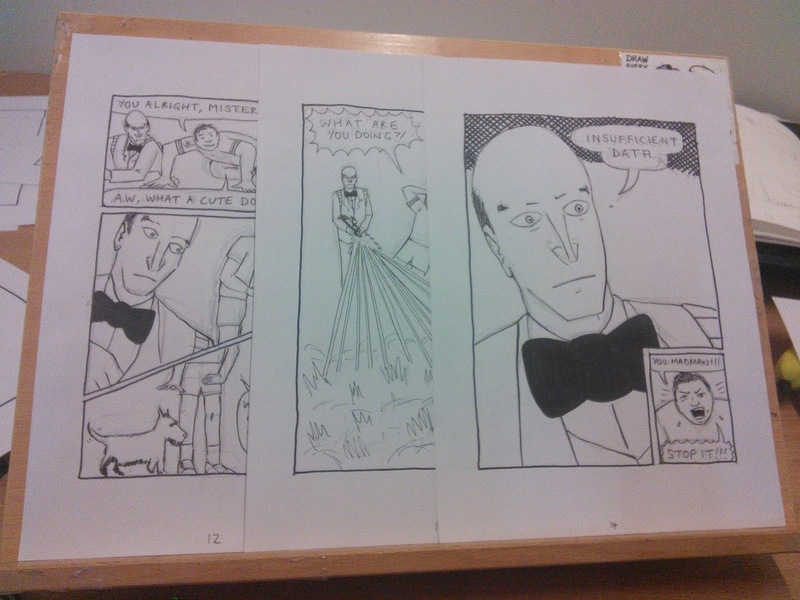 3.20am: Last 4 pages inked for 24 hour comic day. Gonna take a break and then put some paint on. 8.54am: 24 hour comic day day done and dusted. I love doing this - it's insane. Over and out til next time! 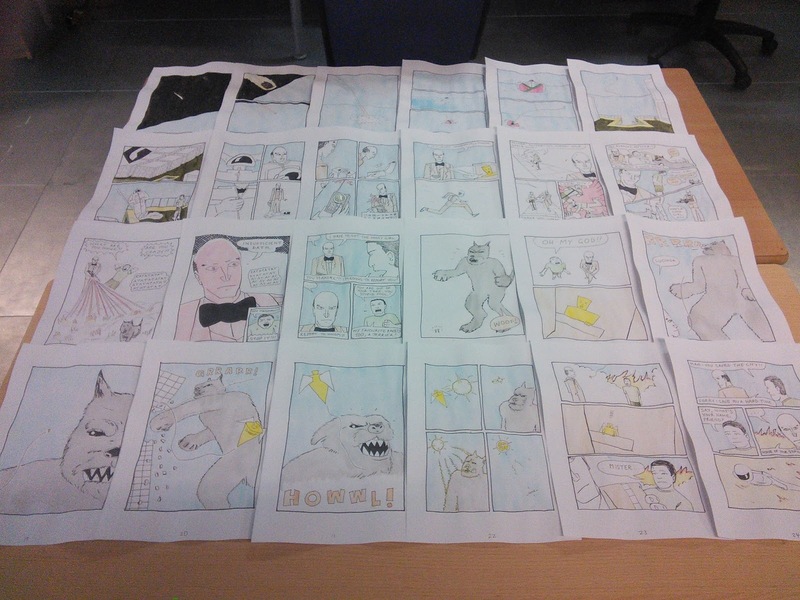 Well done to Zu and Olivia who also completed their 24 page comics. I hope to take part in this again next year and beyond.